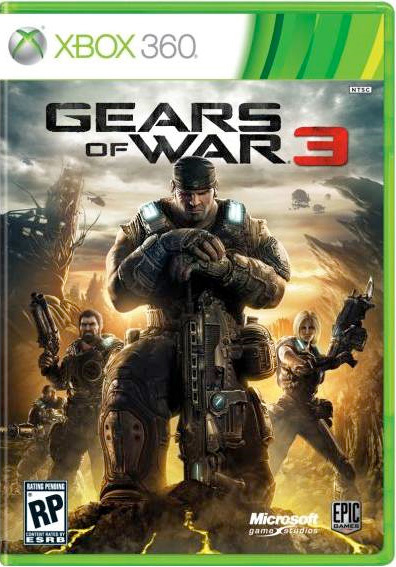 Gears of War 3's cover art for the plastic box has been released to the world for us to ponder over. It shows Marcus Fenix's team, ready for action. The skies show airborne battle and the bottom right shows a broken Jack which is apparently going to be a game plot point. Note the official box art cuts off the widescreen version of the scene featured above. As cool as it is I think this cover is lacking in originality; it looks like the artist decided to play it safe by using the first cover as a template. 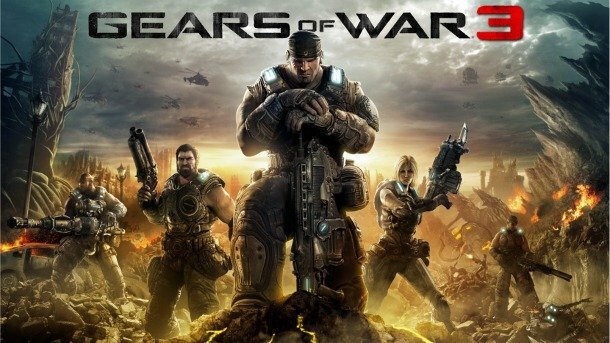 I’m looking forward to the release of Gears 3 as much as anyone. I won’t be buying it since I rarely play any game once I beat it but I’ll definitely be renting it from Blockbuster. Working for DISH always keeps me in the know about their greatest deals. In fact, right now they’re offering Blockbuster free for three months to new customers, http://bit.ly/jGJ7jn.